As a marketer, it’s more likely than not that your company is part of the tidal wave trend toward digital subscriptions. One appealing benefit of all of this is that with so many subscription examples to choose from, we can readily identify good and bad examples to learn from. This research considers how some of the top subscription-based companies are successfully overcoming these common hurdles. As marketers, it’s our job to communicate using customer logic rather than company logic. While it’s one thing to identify a subscription model as financially superior, it’s another matter entirely to make that model valuable from a customer’s perspective. Fundamentally, a customer will always ask, “Why should I, as your ideal customer, purchase from you rather than one of your competitors?” The answer to that question is your company’s Primary Value Proposition. In today’s digital landscape, most customers are accustomed to consuming news content for free. Classic newspaper organizations such as The New York Times have struggled to persuade customers to subscribe to paid news content. However, according to WAN-IFRA Global Advisory, through testing and optimization, nearly 70% of New York Times subscribers are digital as opposed to its more traditional offline methods. 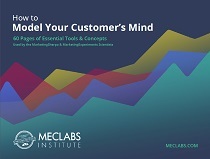 By surveying customers, MECLABS Institute discovered that customers didn’t understand the value proposition of a digital subscription. 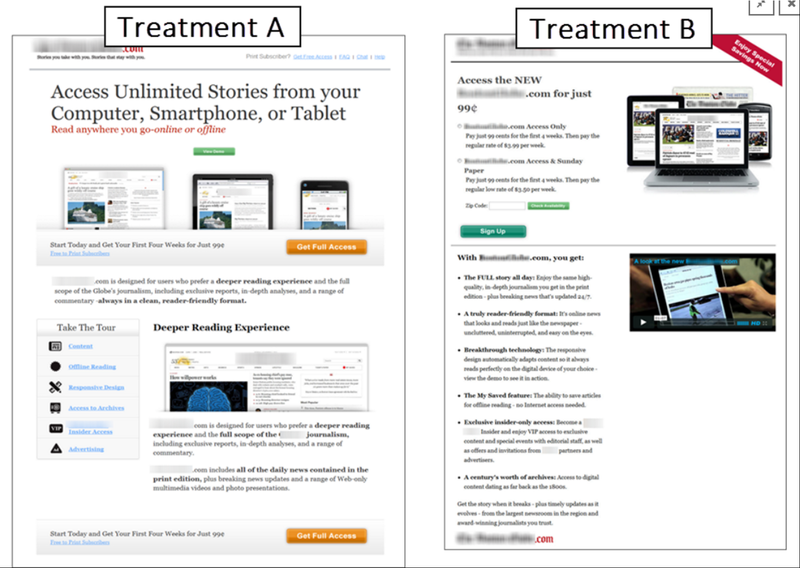 By communicating a more compelling product-level value proposition, in one A/B test with MECLABS Institute, a national newspaper was able to increase clickthrough on a subscription offer by 173%. Here are a few other examples from a quick online search. Conversion Optimization Tips: For some ideas about increasing conversion for your subscription model, watch this Quick Win Clinic that provides optimization tips based on a landing page from a language learning company that operated on a one-time purchase model but transitioned its customer base to the subscription model. The verdict: By leveraging a strong product-level value proposition, some of the top ecommerce companies leveraging the subscription model have successfully overcome the hurdle of making the customer feel like they are benefiting from a digital subscription. Only by understanding your ideal customer and truly zeroing in on what they find appealing about your product will you be able to position your subscription as a customer-focused benefit. Marketers faced with crafting and tuning their subscription offers will ultimately have to make a crucial decision around how many purchase options they will provide the customer. While some brands opt to provide a large variety of options that increment in the level of commitment and savings, others opt to keep it simple with a one-size-fits-all approach. Of course, from a business perspective, your goal will be to maximize the lifetime value of your customer. Depending on the nature of the product and its upfront cost, this calculation will vary. Usually, the highest lifetime value will be driven by the customer who commits to a longer subscription option or a premium product option. According to Kirsten Lyons of SnapApp, the study of Decision Theory has proven that consumers tend to settle within the middle of two extremes. 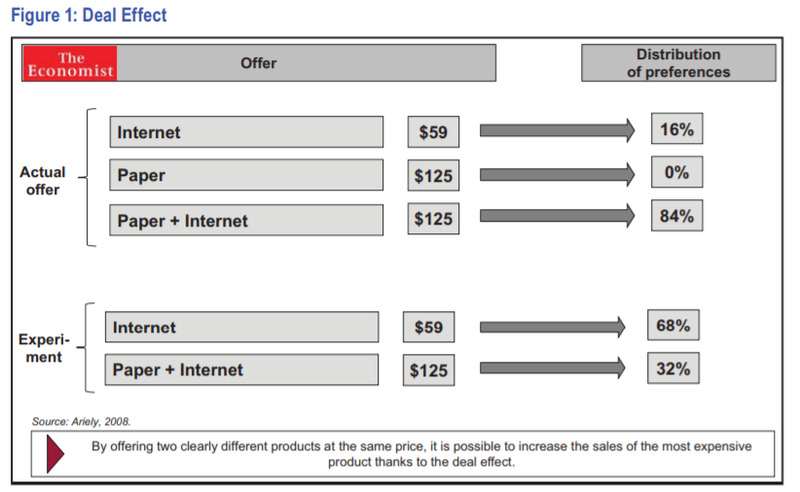 The “Deal Effect” shows that presenting an inferior product with little disparity in cost alongside your primary offer can make the superior, primary offer more appealing, thus driving its conversion rate (Journal of Professional Pricing). The Economist Magazine: This behavioral phenomenon is clearly demonstrated in an experiment on its pricing model performed by Dan Ariely (2010) a scholar at MIT. 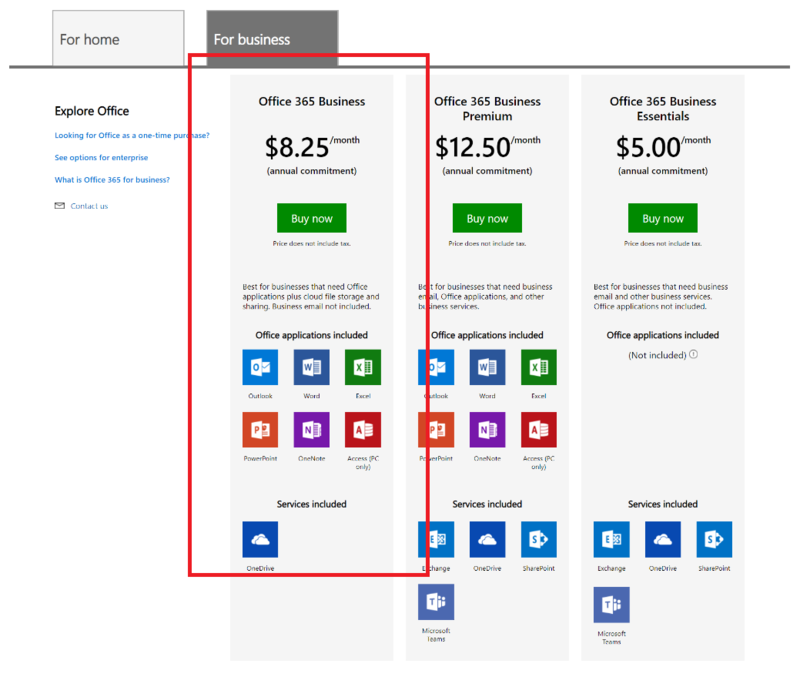 Microsoft Office is also clearly leveraging this pricing technique where the conversion performance of its 365 Business Premium product is assisted by the presence of the similar Office 365 Business product. 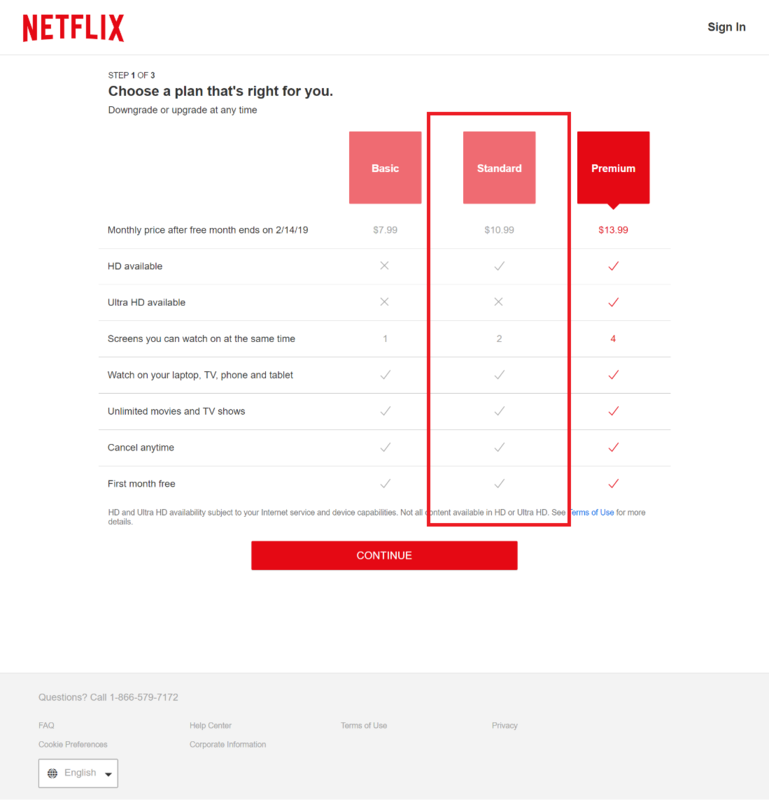 However, when presenting multiple subscription options, there is always the danger of creating friction in the mind of the customer. You might ask, “At what point does an additional subscription option create more friction than value? 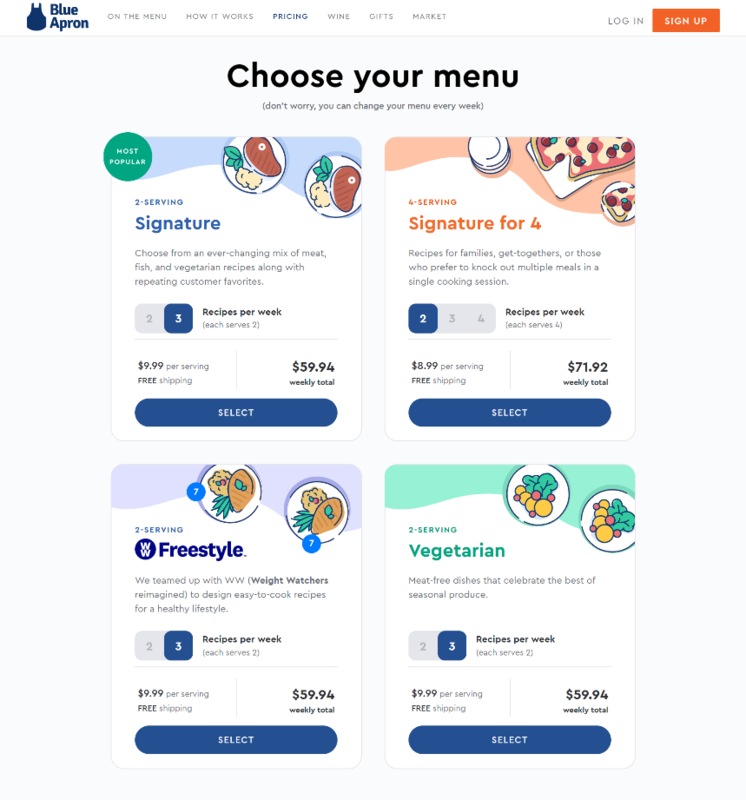 In a marketing experiment run by MECLABS Institute, a subscription-based website increased its conversion rate 16% by simplifying the subscription options from 1-month, 3-month and 6-month choices to just a 1-month option. 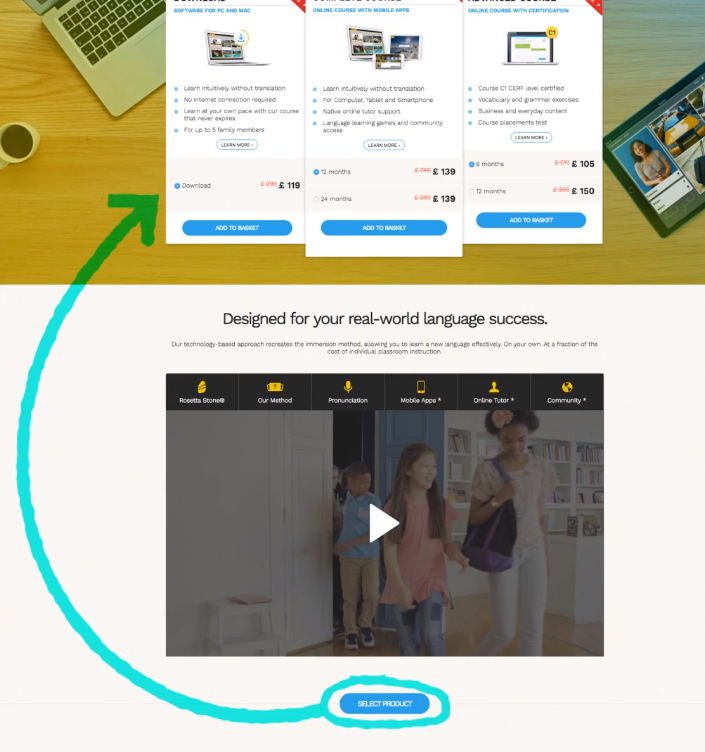 This A/B test revealed a key customer insight that customers were highly sensitive to “difficulty friction” at this step in the purchase process. Adobe leverages a simpler subscription offer by presenting only a “monthly” option alongside a pre-paid annual subscription plan. The Verdict: Having multiple subscription options that are differentiated by incremental levels of commitment or product features can often be perceived as an appealing “value add” by your customer. The marketer can often position these options in a way to emphasize the appeal of a premium option. However, savvy marketers will test the number of subscription options being presented to determine whether too many options are overcomplicating their product offer and ultimately hurting conversion rates. So your product team has identified an opportunity to achieve greater market penetration by introducing a new, appealing feature or service. In most cases, this new product won’t stand alone as its own new product but, rather, will be bundled alongside your core product and marketed at a higher price point. This may involve flashy banner ads, homepage marquees, etc. Of course, there is always the risk that by trying to appeal to 5% more of the total market (willing to pay more for a feature), you will diminish the appeal of your core product for a much larger percentage of your current audience. One approach is to articulate different prospect-level value propositions (value propositions tailored to specific prospect types) for each subscription option. This way, customers can more easily segment into the approach option without feeling like they are choosing an inferior option. 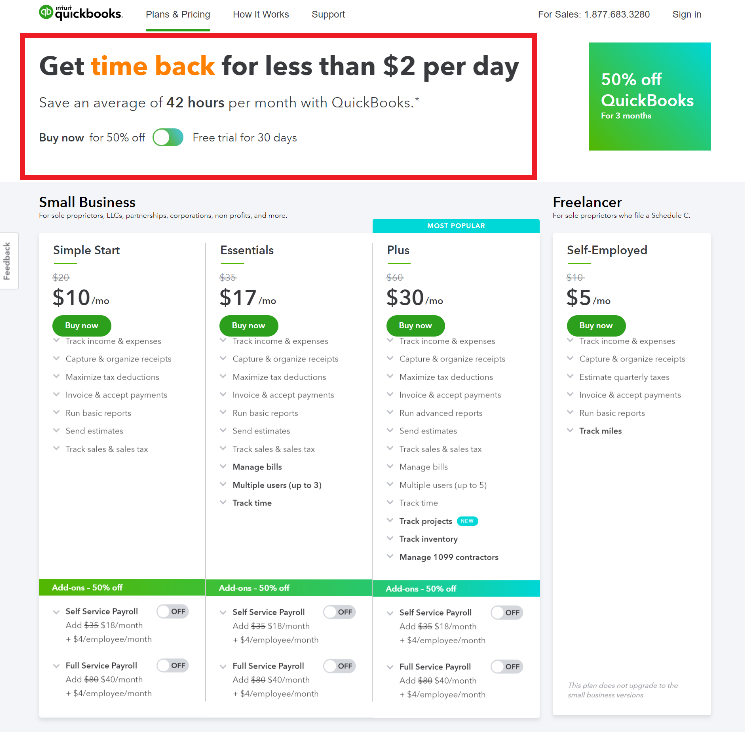 Intuit QuickBooks used another approach by emphasizing the “more popular” core subscription option while de-emphasizing the premium option. 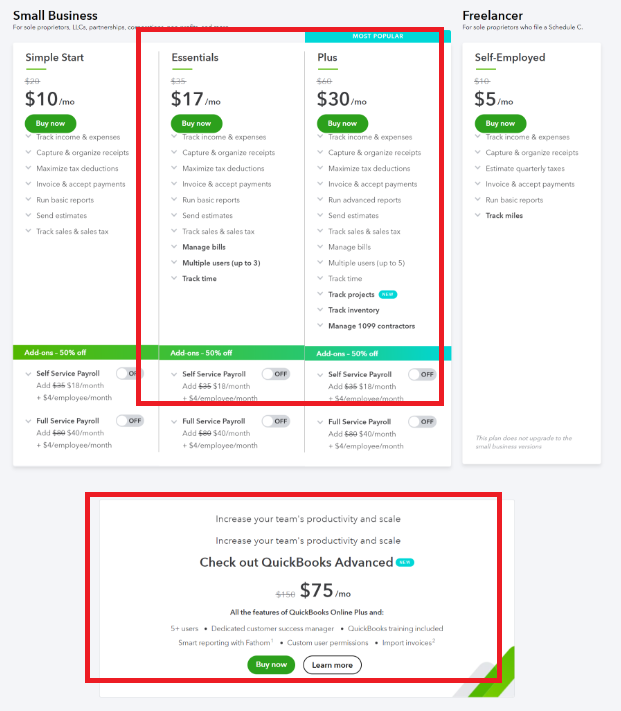 A website with a subscription-based product offering worked with MECLABS Institute to test introducing a new subscription feature by 1) presenting it as a premium version of its core product versus 2) introducing it as an upsell modal box sequenced after the customer selected a subscription option for the core product. Test results revealed that the conversion rate of the premium product was 30% higher for Treatment 2, where the new product offer was sequenced after the customer had sufficiently bought into the value proposition of the core product (via modal upsell). Treatment 2 was likely more effective because it promoted a more streamlined customer thought sequence. 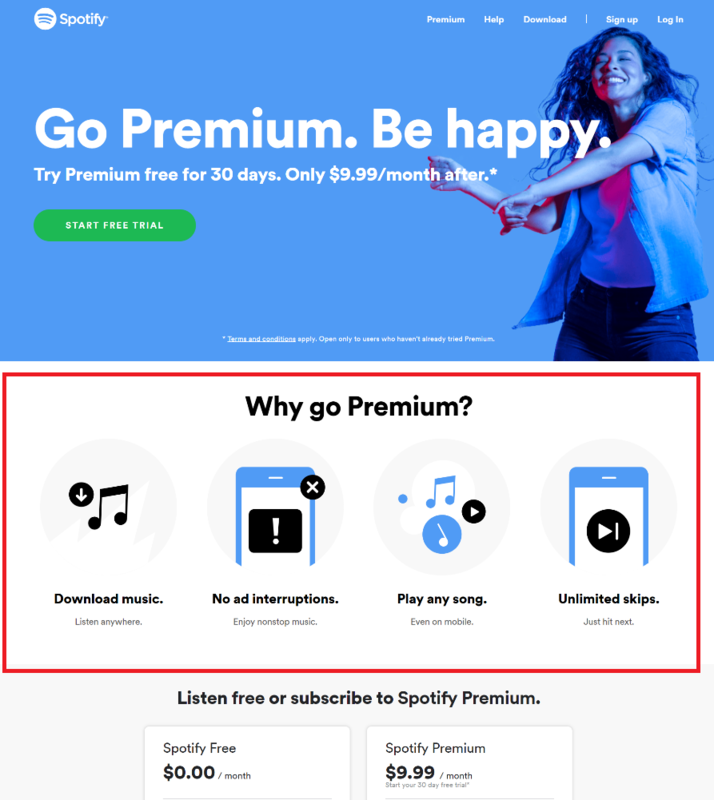 The Verdict: Ultimately when introducing any new premium subscription option, the marketer must analyze how this will affect the customer’s thought sequence. Any new product offer will compete for the customer’s attention and may be perceived as either valuable or friction by different customer segments. Ensure any presentation allows the majority of customers to move through the process with as little unnecessary disturbances, and the target audience is clearly articulated.